Hall of Famer Tom Seaver signed a New York Mets contract for $172,000 per year to become the highest paid player, 42 years ago today. But that money couldn’t buy the Mets a no-hitter, as “Tom Terrific” couldn’t accomplish the feat until after he was traded to the Cincinnati Reds. The no-no occurred on Friday, June 16, 1978, just a day after the one-year anniversary of the trade that broke Mets’ fans spirit. Seaver struck out three St. Louis Cardinals and walked three for a 4-0 win at Riverfront Stadium. 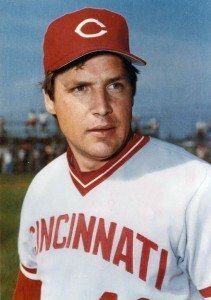 The June 15, 1977, trade sent Seaver to the Reds in exchange for Pat Zachry, Doug Flynn, Steve Henderson and Dan Norman. That same day, New York dealt fan favorite Dave Kingman to the San Diego Padres for Bobby Valentine and Paul Siebert. While with the Mets, Seaver thrice lost no-nos in the ninth. Not a day shy of a year, but a year and one day later. But spirit, heart, soul, what have you all were broken. Thanks for catching that. The trade was so traumatic it even destroyed my once-strong math skills.